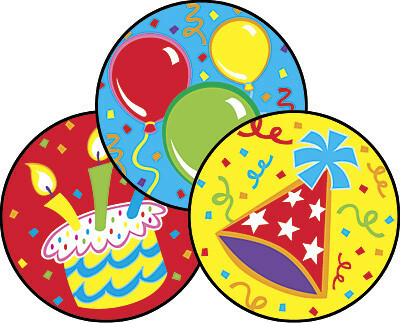 Use these delectable frosting/icing smelling stickers to acknowledge a student in your class celebrating their special birthday! Richly coloured party hats, balloons and birthday cakes all feature n the design. Kids will love them!